Interest rates. While interest rates for fixed rate mortgage loans will always be higher than the ones for adjustable rate loans, it doesn’t mean that you will not have to do your research into which of the top fixed rate mortgage lenders offers the lowest interest rate. Over time, even the slightest difference in the mortgage interest rate could result in you having to repay thousands more or less. Loan types. Besides regular fixed rate loans for 15 or 30 years, some lenders also offer a type of fixed rate loan that requires a large portion of the loan to be paid at the end of the repayment term. This last payment is sometimes referred to as a balloon payment. This type of mortgage loan is advantageous because the monthly payments will be much lower, but it is also very risky because you may be forced to sell your home if the final payment isn’t made. Fees. Like with any mortgage loans, you should be careful of lenders that don’t disclose all their fees. Fees and costs like mortgage insurance, application fees, prepayment costs and others should be presented to you. Only then you can take a proper decision regarding the lender that you are considering. Beware of mortgage lenders that try to force you into signing anything before you are fully aware what the whole process entails and what your costs are going to be. Mortgage term length. Having the option of choosing the loan repayment length is very important. Longer term mortgage loans will, of course, have a lower monthly payment, but the interest will most likely be higher. A short term mortgage loan, such as a 15 year loan, will have a higher monthly payment, but there’s a bigger chance that you will receive a lower interest rate with this option. JP Morgan Chase. JP Morgan Chase & Co. was established in 1799, and today it operates in more than 60 countries. Chase serves tens of millions of clients, and has assets of $2.3 trillion. JP Morgan Chase & Co. offers mortgages through its subsidiary, Chase Bank. Bank of America. Serving more than 56 million U.S. clients and owning $2.23 trillion in assets, Bank of America is the country’s second largest holding corporation. Bank of America was founded in 1784 as Massachusetts Bank, and it’s currently headquartered in Charlotte, North Carolina. Bank of America offers financial services to persons, small businesses, as well as large businesses. Citibank. Operating in more than 150 countries around the world, Citibank is a full-service bank that serves over 200 million customers. Citi offers a large variety of financial services, such as personal banking, wealth management, investment banking, and more. Citibank is also proud of its successful online banking service that satisfies 15 million clients. Wells Fargo. One of the largest financial companies in the world, Wells Fargo was founded in 1852, and currently has more than 265,000 people working for them in over 35 countries. Wells Fargo offers customers a large variety of services, such as banking, mortgage and insurance. U.S. Bank. The country’s fifth largest commercial bank, U.S. bank was awarded the title of “Most Admired Superregional Bank” by Fortune Magazine two years in a row. U.S. Bank has over 3,000 branches, and offers banking, mortgage (adjustable, fixed, jumbo, FHA, VA), insurance and other financial products. HSBC Bank. HSBC was founded in 1865, and it is headquartered in London, U.K. Present in more than 80 countries, and having more than 60 million customers, HSBC is a leading international banking services company. HSBC’s U.S. subsidiary is HSBC Bank U.S.A., which has its headquarters in New York. SunTrust Bank. Through its 1,665 branches, SunTrust provides quality services to individuals looking for different kinds of loans, banking, credit cards etc. SunTrust‘s branches are mainly located on the East Coast (including states like Florida, Georgia, Tennessee, Maryland, D.C.), but they also offer online and mobile devices services. TD Bank. “America’s Most Convenient Bank”, as it is branded, is one of the Top 10 largest banks in the United States. It first opened its doors in 1852, and nowadays has more than 85,000 employees. TD Bank offers its services to 6.5 million clients in U.S., and a total of 20 million customers worldwide. Fifth Third Bank. Last year, the Ohio based company had $122 billion in assets. Fifth Third Bank received numerous awards, and is one of the most trusted retail banks regarding customer privacy. Fifth Third Bank operates in 12 U.S. states, and has more than 1,300 branches. Key Bank. Key Bank is one the two banks in the United States with a 5-star financial rating. They offer mortgages for home purchasing and refinancing, as well as investment banking & management, and commercial banking. Key Bank is part of Key Corp, a financial services company with $87 billion in assets. 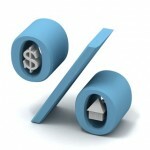 Educating yourself before shopping for a fixed rate mortgage is of the utmost importance. Knowing which term length to go with and what interest rates and fees you’re looking at can make a big difference in what the total cost of the loan will be. There is a strong competition among the top fixed rate mortgage lenders, so you should always shop around before making a decision that will affect the next 15 to 30 years of your life.